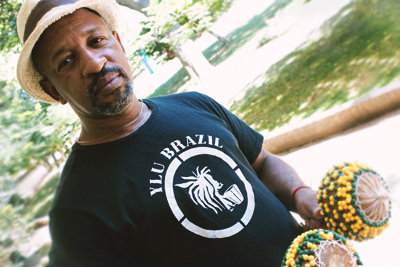 Afonsinho Menino, founder of Ylu Brasil, lives completely up to his guidelines of Brazilian percussion music. More than 30 years of experience with percussion and instrument making reflect his knowledge which you will notice in both his creativity and the quality of his products. He plays, builds instruments and teaches. 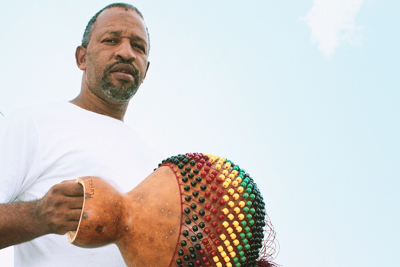 You can see him in bands of all sorts of genres, such as ‚Só Conversa‘ and ‚Qualquer Lugar‘ (instrumental), or in ‚Sendero‘ (Latin American music), Mayombe Afro Cubano‘ (traditional Son Cubano), Tropeiros da Serra‘ (Forró and group dances)‚ Carimbolando‘ (Carimbó from Pará) and ‚Carimbó é o Bicho!‘ (Carimbó for kids). 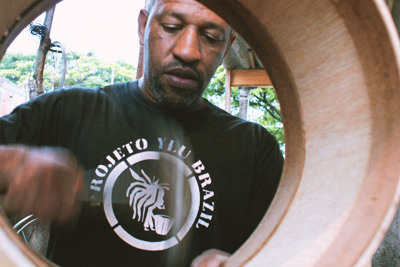 Afonsinho teaches percussion and instrument making to a great diversity of people, e.g. to social projects, but also to people trade unions and other organisations; he gives private lessons in his studio but also public workshops, compact courses in culture and recreation centres and communities, libraries, schools, parks etc. His lessons are as many-sided as the instruments which he makes of traditional, but also of modern or even recycled materials. 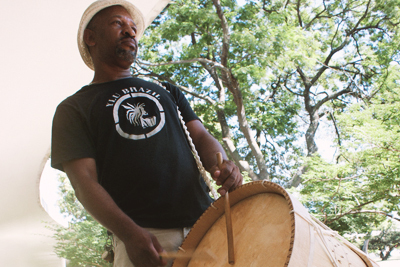 Through the large diversity of musical styles he plays, he has gained knowledge to make most of the instruments himself: for Samba, Afoxé, Ijexá, Olodum, Frevo, Forró, Baião, Xaxado, Maracatu and Coco. He makes all sorts of sound bodies such as drum sets, shekerés / agbes, ganzas, maracas, güiros, cajones, ocean drums and rainmaker etc. 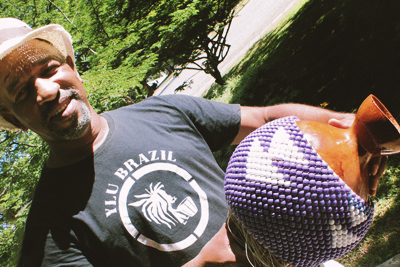 All instruments by Ylu Brazil are made in Brasil. They are unique pieces with beautiful sound colours and good quality making!